About 3,500 choir singers have come together to lead a chorus of amateur voices for a mass sing-along as Manchester marked the first anniversary of the arena bomb attack that killed 22 people. 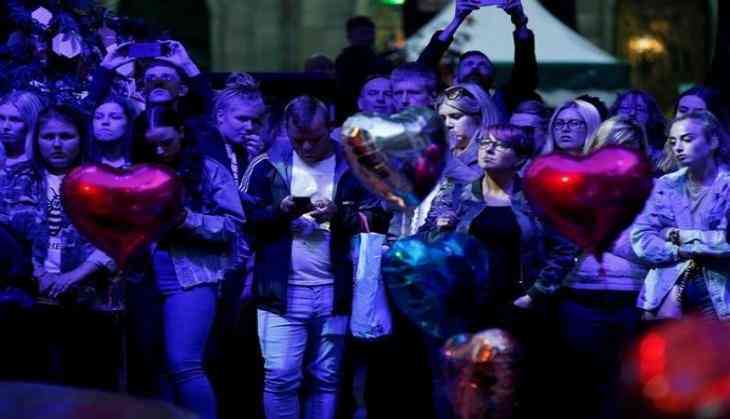 Albert Square hosted the Manchester Together - With One Voice event, which featured songs by Elbow and Oasis and as well as by American singer Ariana Grande, reported Sky News. Other performances included Oasis hit Wonderwall, by Manchester's lesbian and gay chorus choir, and a group of emergency services staff singing Bridge Over Troubled Water. Meanwhile, Prince William remembered the 22 victims of the Manchester bombing by attending the Manchester Arena National Service of Commemoration at Manchester Cathedral, according to the reports. The evening began with video tributes from well-known local figures. Meanwhile the Duke of Cambridge gave a reading and met some of the bereaved families. In May 2017, Grande had finished her concert at the Manchester Arena in the United Kingdom when a terrorist detonated a bomb, killing 22 people and injuring more than 500 others. "The Manchester Arena attack showed the worst of humanity," said Ariana Grande as she spoke in detail for the first time about last year's bombing.